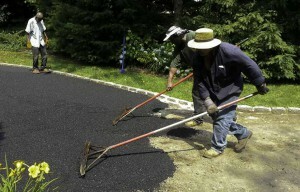 As your Paving Contractor we make it easy to extend or create an addition to your existing driveway. 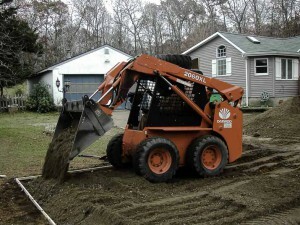 We remove both existing organic materials such as grass, weeds, or brush and any inorganic materials currently in the way of the driveway extension. All excavated materials are trucked to a recycling center. We then re-grade the land to create a pitch for rain water runoff. 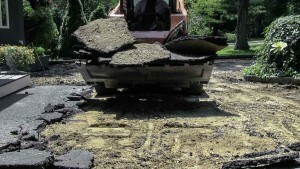 The RCA Stone Blend Base is installed to specification as a foundation for the new asphalt surface. 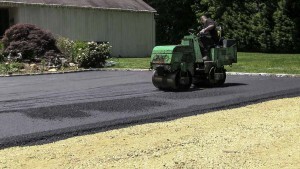 The base is then compacted with a vibratory power roller to create a strong durable structure for the asphalt. 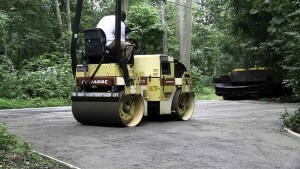 A new wearing course is installed with hot Asphalt, to comply with New York State Mix to specifications and placed at an average temperature of 300° F.
The final phase of your pavement extension is to compact the surface with our vibratory power rollers.